Magento price matrix extension supports a wide range of product’s attributes at different prices, saving user’s choices with orders, serving the print supplier on providing customers at the best options. 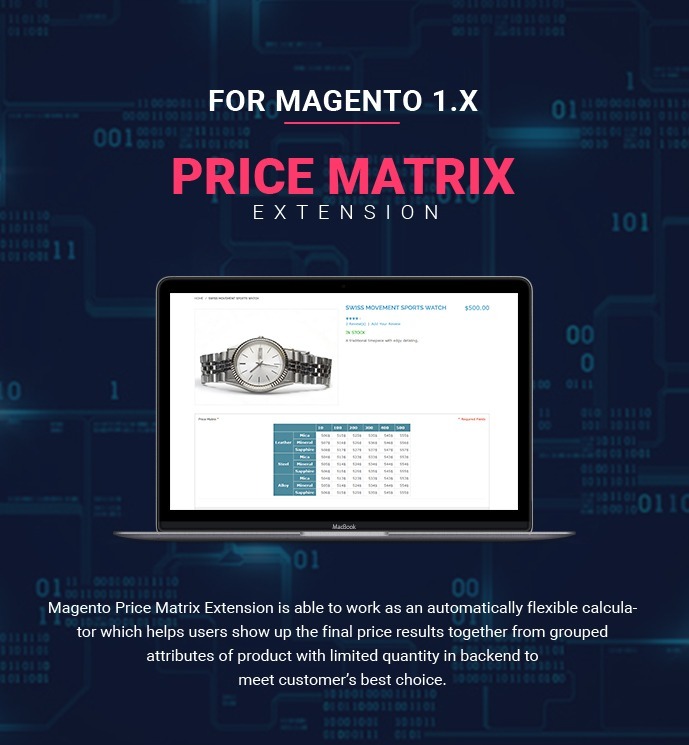 Magento Price Matrix Extension is able to work as an automatically flexible calculator which helps users show up the final price results together from grouped attributes of product with limited quantity in backend to meet customer’s best choice. 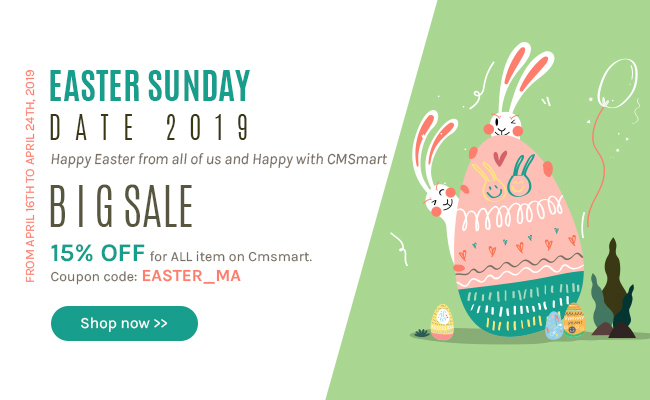 In admin panel site, this perfect extension is unlimited Magento custom options for attributes to make price matrix table with its full functionality. It is also simple for you to create attributes of each product by their own options. All of attributes are grouped on vertical or horizontal direction after choosing select all options, they can preview price matrix table before to publish it on frontend. This magento extension allows users to remove or create new options if needed. While creating new attributes users can add more rows if lacking in price matrix table. Especially, price matrix table can be changed color for its the background and text in configuration system, or change delimiter by users if wanted. The extension can be used with all types of products like simple product, configurable product, virtual product, etc. In frontend, customers are able to see grouped different prices in attributes of each product on price matrix table .It is easy for them to choose any suitable option included with attribute preview information, then they just enter quantity before adding to cart for checking out. User can enable extension in configuration system, then change color for background, text, delimiter , and others. Magento Price Matrix Extension is able to work as an automatically flexible calculator which helps users show up the final price results together from grouped attributes of product with limited quantity in the backend to meet customer’s best choice. 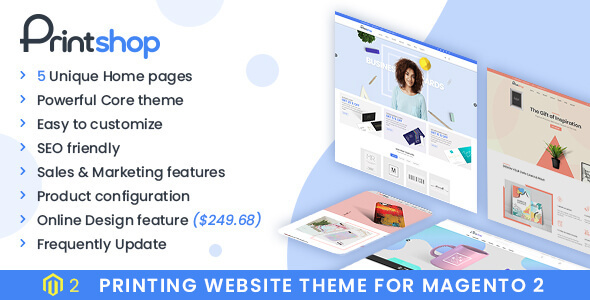 In admin panel site, this perfect extension is unlimited Magento custom options for attributes to make price matrix table with its full functionality. It is also simple for you to create attributes of each product by their own options. All of the attributes are grouped on vertical or horizontal direction after choosing select all options, they can preview price matrix table before to publish it on the frontend. This Magento extension allows users to remove or create new options if needed. While creating new attributes users can add more rows if lacking in price matrix table. Especially, price matrix table can be changed color for it’s the background and text in configuration system, or change delimiter by users if wanted. The extension can be used with all types of products like the simple product, configurable product, virtual product, etc. First, go to product detail page. You are able to see grouped different prices in attributes of each product on price matrix table. After it is easy for them to choose any suitable option included with attribute preview information, then they just enter the quantity before adding to cart for checking out. Step 1: Unzip the package and install. Step 2: Go to System → Configuration → CMSMART → Price Matrix to enable the extension, set the color for price matrix table on the background…. Step 3: Go to Catalog → Manage Products to Create New Product Attributes. Step 4: Go to Price Matrix. In here, you can see all attribute sets you just created to Create New Price Matrix Table. 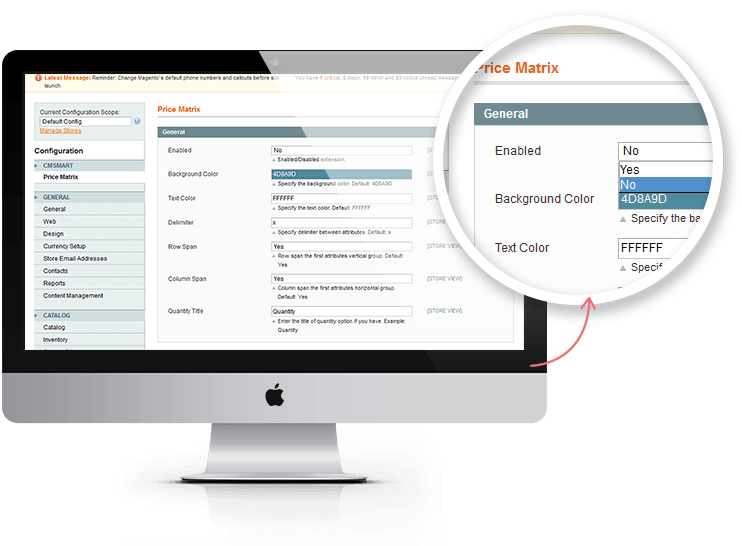 Enable price matrix extension in admin panel: User can enable the extension in configuration system, then change color for background, text, delimiter, and others. 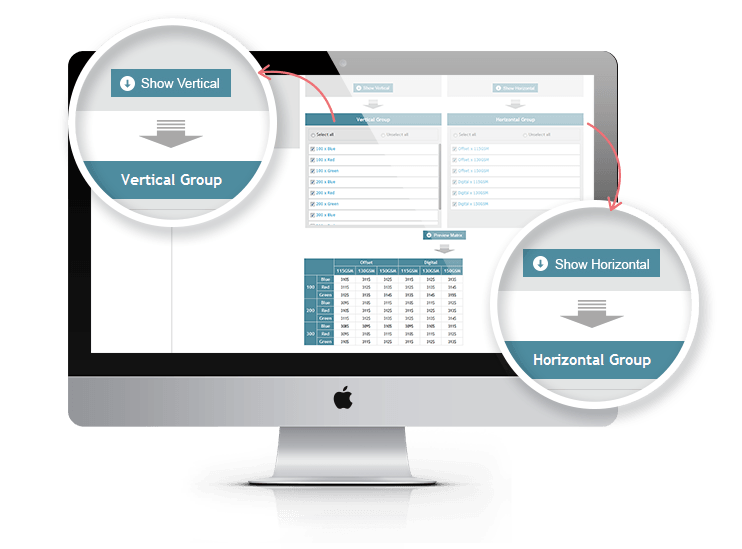 User can easily choose the direction for created attributes: On the tab price matrix, the user can drag and drop attributes in vertical or horizontal direction, then the user can select to show all attributes in a vertical group or horizontal group. User can preview matrix in back-end: After finished configuration, the user can preview matrix table before showing out in the frontend. The superior feature list and works as descibe. Support is very good and quick. All of them have offered a great experience. Setting price becomes easy than ever with this extension. I had ever got headache for setting price until when I use this price matrix. Make every complicated thing become simple ones. Great! Fantastic Extension. Very useful for our business. Helps the customer to select custom products with the price list. Easy for clients to buy the products and design it! Thanks CMSmart Staff. Especially for Victor and Evan for developers team. This is a great extension and very easy to use. You can give customers a range of options for one product in an easy to comprehend table view, very useful for products with lots of variations - like in my case of printed leaflets with different paper sizes, finishes, weights, folds etc. Support has been outstanding with the guys fixing and tweaking the extension to get it working correctly on my site. Highly recommended extension and company!! All problems relating to price in my sites have been solved. Well done! Thank you, guys! I'm using this product, I just want to say everything is wonderful. It is working very well on my website. Thanks for all. The product is easy to install and use, in addition to help customers have more choices than save time as well as. I Wish you had more orders than! Is there a magento 2 version of this extension? I think this extension might just be what i'm looking for, but my shop is running in Magento 2. I'm sorry to say that we don't have the magento2 version of this extension. We will try to research and release the new version in the near future and I will notify you whenever it done. Installation with hand has once worked. But in front no representation. Your support is very bad. I paid for not $ 70 but did not pay for it. Why sell software that is not ok ??????? I hope it still works with the support? Will it work with Magento Advanced Product Options? 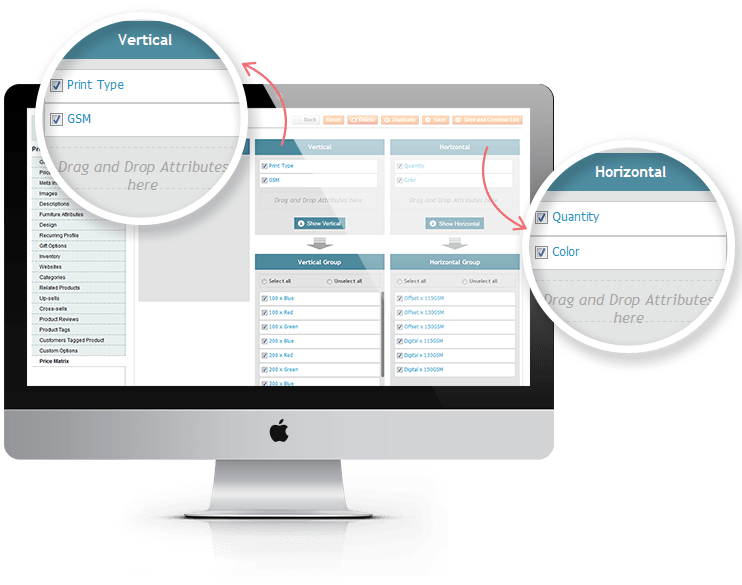 Will it work with Mageworx's Magento Advanced Product Options extension? Thank you so much for your interested in our product. Our Magento price matrix extension is written as Magento standard. So if this product above is also written as Magento standard, both of theme will work well together. 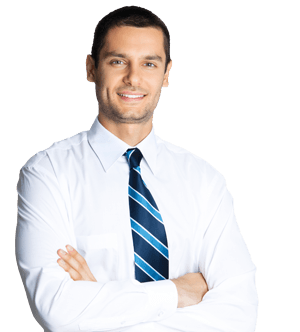 But you don't worry, if you have any problems, our professional team will help you resolve it. Hi, I'm very interested in your extension. Sorry for my poor english, I'll try to explain as best I can. I don't need the matrix is displayed in the frontend but I want that my customers see the final price changing while they select their chosen attributes from the dropdown menu of the product page. Can your extension do this? Is it possible do test it in a demo frontend + backend? After you test our product finish, I hope that you will buy our product soon. If you have any questions, feel free to contact with me. I am willing to support you. Let's say I want some drop down options before the price matrix when I am selecting one of the options from the dropdown can price matrix automatically update the prices in the matrix based on the option selected before? I am Janet, working as Customer Service Manager on Cmsmart marketplace. I am happy to support you. 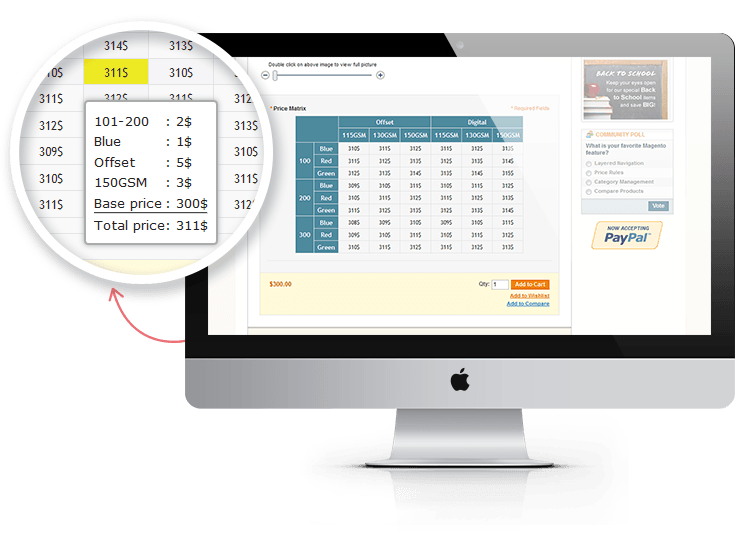 Magento Price Matrix is one of the best-selling of us, it has more outstanding features. Our products is under upgrade process. So with your requires, it don't support in version current. But you should buy our products and then we will release on the next version. This extensions looks great - however I need to know if it is capable of handling "Absolute" pricing? this could be the Screen Creation charge the screen printing a t-shirt, or the digitisation charge when doing embroidery. I am Janet, working as Customer Service Manager on Cmsmart marketplace. 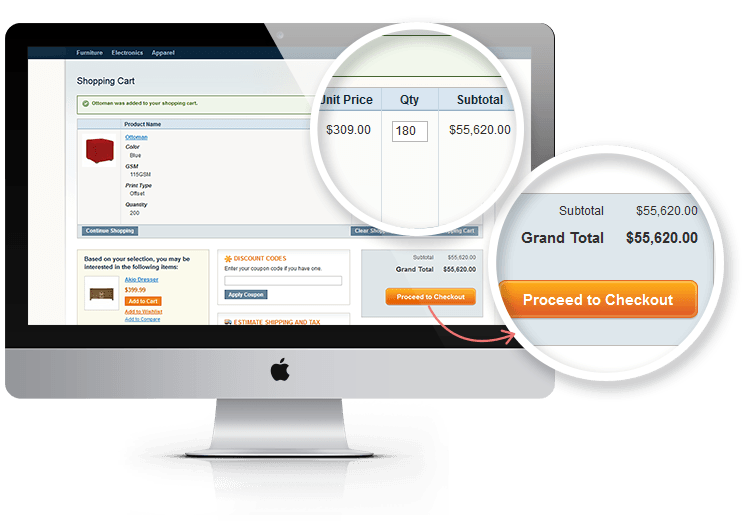 Yes, you can setup prices for your products that does not depend on qty. If you have any problems, please contact with me via my email: janet@cmsmart.net. I am willing to support you. Is it possible to have the price matrix extension( https://cmsmart.net/magento-extensions/magento-price-matrix-extension?tab=discussion ) as a SLIDER ? I am Janet, am happy to work with you. And I am very sorry for reply late. If you want it, our products meet your requires. I would like to know if i use product options and the price is changing with this optins, will this extension use the latest updated price or it is using only the base price? It is not clear on the demos and we have no access to backend to test, if we could it will be nice for us to see what this extention can do. Thank you for your interested in our product. 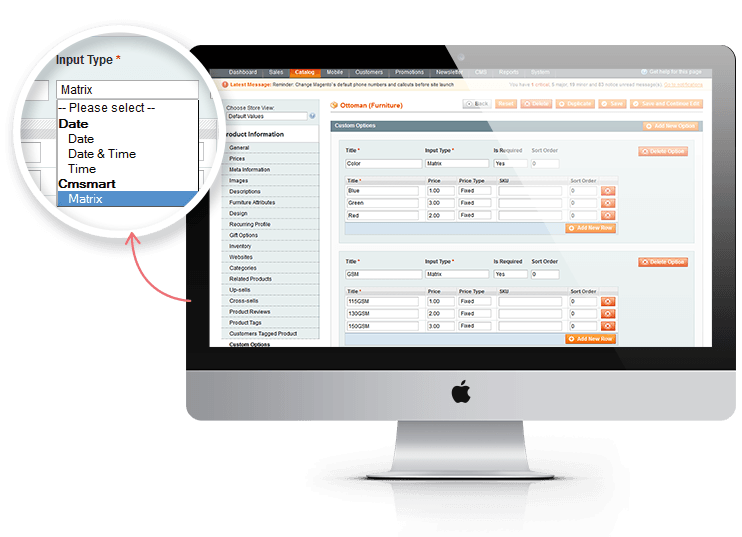 Magento Price Matrix Extension is able to work as an automatically flexible calculator which helps customer show up the final price results. When you use it, it will make your customer feel happy. About your question, Yes, When you use product option, the price is changing with this options and updated the latest price. You can have permission to access in back-end when you bought this product. But, If you want to see, we will screenshot for you. as you have this Extension for Magento? Please get back to me asap, as i really need this plugin for urgent basis. 1. Yes, it is prioritized at the first position. 3. Now, this feature - automatically updated quantity, we are in the process of developing. But if you want, we can consider to custom for you. Whene do you think this feuture will be ready? If you make custom for me hoe much it will cost? whene 300 then not 3000 but 2500 etc. This to optins will make for us work. This is a must in printing world. We need more time to custom for you, but our support team will try our best to finish as soon as possible with fee is $50. May be, you choose wrong value, your value you choose is not less than 0. It will show correct value.